Footage showing an up-armored Leclerc MBT was released by the Emirati News Agency on the 9th December 2017. According to the corresponding news article, the video shows forces of the United Arab Emirates together with allies advancing on the western coast of Yemen, where the vehicles are used to combat Houthi rebels. Dynamit Nobel Defence used to market its explosive reactive armor under the acronym CLARA, which stands for "composite lightweight adaptable reactive armour", but in the recent years the name HL-Schutz Rad/Kette ("shaped charge protection for wheeled and tracked vehicles" abbreviated in German) has been used on the domestic market at least. The key difference between other ERA solutions and DND's CLARA/HL-Schutz Rad/Kette lies in the construction. While conventional reactive armor utilizes metal (usually steel) for the flyer plates, which is rather heavy and endangers nearby infantry, the armor from DND is free of metals. Tests have shown that fragments from the flyer plates of ERA can reach several metres distance from the impact point, forming dangerous projectiles for dismounted soldiers and civilians in close proximity of the vehicle. To deal with this issue, DND's ERA solution is totally free of metal (except for the screws to hold the tiles). According to patent descriptions, the armor might make use of glas fibres, carbon fibres, aramid fibres, ceramic fibres and/or PBO (Polybenzbisoxazolediylpenhylene) fibres. The fibres can also be combined with each other or with particles made of the previous mentioned materials. A secondary plate made from a ballistic textile (such as kevlar) can also be incorporated into the armor. It has been suggested to wrap the explosives in aluminium foil for easier handling. For optimal performance, the ERA can consist of multiple spaced plates; the empty space can be filled with rubber, ceramics or plastics to maximize protection. CLARA/HL-Schutz Rad/Kette has been claimed to provide more than ten times as much protection as "conventional armor" against shaped charge warheads as found on rocked-propelled grenades (RPGs) and anti-tank guided missiles (ATGMs). It is not mentiond wether this means simple steel armor or some type of passive composite armor. When including an anti-KE plate, DND's ERA can also provide sufficient protection against kinetic energy penetrators (KEPs) to stop medium calibre ammunition and explosively formed penetrators (EFPs). CLARA has been trialed on the Marder infantry fighting vehicle (IFV) and on the Boxer armored personnel carrier (APC), while it was proposed as armor upgrade for the Fennek scout car. HL-Schutz Rad/Kette has been adopted on the Puma IFV, where it is used to protect the upper section of the hull flanks; the lower sections are fitted with composite armor modules instead. In case of the UAE's Leclerc Tropicalisé, the armor kit makes use of very large ERA modules. On the right side of the vehicle are 17 modules covering the hull side and the turret side, but leaving the the engine compartment exposed. Presuambly the same amount of armor modules is used to protect the left side of the tank. The turret rear of the is protected by six smaller tiles. The large size of the ERA modules suggests that inside each module, multiple smaller ERA plates are located; otherwise it would be a rather bad design, given that ERA has a low multi-hit capability and thus a single hit would leave an unnecessarily large gap in the armor array. At the moment it is not known if the ERA also covers the Leclerc's front. The basic Leclerc Tropicalisé operated by the United Arab Emirates Army already features upgraded armor protection over the French model, at least in terms of side armor: while the French MBTs have only three heavy ballistic skirt elements made out of composite armor on each side of the hull, the tropicalized variant of the tank features a total of eight composite armor skits per side instead - a configuration also offered to Greece during the early 2000s. The UAE also purchased the AZUR (Action en Zone Urbaine) urban combat package, which is comparable to the American TUSK (Tank Urban Survival Kit) for the M1 Abrams and the PSO (Peace Support Operation) package for the Leopard 2. The AZUR upgrade was ordered by the UAE for 15 MBTs in 2011. A version of the AZUR kit is part of the upgraded Leclerc Rénové as part of the French SCORPION program. 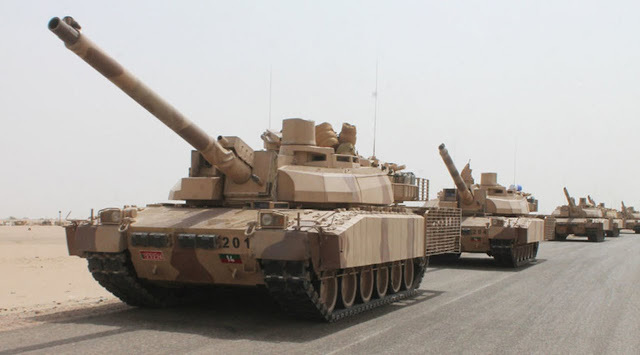 On some of the AZUR-equipped tanks operated by the United Arab Emirates a further slat armor section was added to protect the lower front hull. Supposedly the combat performance of the Leclerc (and the UAE Army in general) has been rather good, but a few months ago it was reported that a single tank was penetrated by a RPG-29 at the lower front plate. The latest issue of the InfoBrief Heer, a newsletter from the Förderkreis Deutsches Heer e.V., includes an article on the performance of the Puma infantry fighting vehicle (IFV) in the Czech trials written by Mathias Kraus, Head of Sales and Marketing of the company Projekt System & Management GmbH (PSM). The Förderkreis Deutsches Heer e.V. is a club and lobby group consisting of members of the military, politics and industry that is focused on the German land forces and its military procurements. PSM is a joint-venture between Krauss-Maffei Wegmann (KWM) and Rheinmetall, the two companies that together manufacture the new IFV and various other armored fighting vehicles (AFVs). According to the article, the trials consisted of three parts: static trials, dynamic trials and firing trials. Static trials were focused on gathering data regarding size, weight, ergonomy, protection, armament and optics. The dynamic trials included driving along a test track and determining factors affecting the mobility of the vehicle, such as top speed on road and cross-country, maximum fording depth, the ability to drive along (side) slopes and the ability to climb over smaller obstacles. The firing tests included firing at targets at a distance of 1,200 and 1,800 metres. Given the armament and optics of modern infantry fighting vehicles, this is far below the maximum effective range of the 30 x 173 mm guns used on all of the tested IFVs (the German Army requirement for the Puma was an effective gun range of 3,000 metres), but it might be a valid representation of the combat range expected in the Czech Republic; during the Cold War the average distance for tank-vs-tank combat in Central Europe was estimated to be between 1,000 and 2,000 metres according to different studies from NATO and Warsaw Pact countries. Each IFV fired a burst of five rounds against each target; therefore each contender for the BMP-2 replacement fired overall 40 shots on eight targets that had to be hit. At the day of the firing tests, the weather was supposedly extremely windy, making it rather hard to hit the targets. The Puma IFV missed three shots and hit all of the other 37 rounds, thus every target was hit more than once, most of them were hit five tims. The other contenders - BAE Systems' CV90 in two variants, the ASCOD 2 from General Dynamics and Rheinmetall's Lynx IFV - all missed at least one of the targets. In fact Mr. Kraus claims that the second best IFV managed to score only about half as much hits as the Puma, which based on the other information should be about 18 to 19 hits on targets. Due to the high complexity and sophistication of modern armored fighting vehicles, relability is often a problem, specifically if it is an untested AFV or new variant of an existing design. In case of the Czech trials, except for the Puma - the only IFV tested in a production variant - all IFVs had some sorts of issues with the reliability of some major components. The ASCOD 2, both CV90 variants and the Lynx all had to repeat at least one of the tests, because parts broke down or malfunctioned. That doesn't mean that the Puma IFV had no issues - it only means that there weren't any major troubles during the tests that required the components. Smaller/less important parts of the IFV still might have failed, as the statement from the article only speaks about the reliability of components relevant to the tests. A difference between the Puma and the other contenders was the fact that the former was a production vehicle for the German Army, fitted with all equipment and tools required by the military. This included a battlefield management system and radios, which were absent on (some of) the other IFVs tested as BMP-2 replacement. Already a long time before the trials, the governments of Germany and the Czech Republic decided to deepen their defence cooperation. On the 15th of February 2017 the ministers of defence of both nations signed a memorandum of understanding regarding this topic, which also includes the Czech 4th Rapid Deployment Brigade being subordinated to the German 10th Tank Division. Last but not least one should not forget that the source of this information: the head of sales from PSM should hardly be considered an impartial observer; still there are reasons to believe that he didn't blatantly lied or greatly exaggerated the performance of the Puma and the problems of the other contenders. In the end 50% of the company PSM is owned by Rheinmetall, which offered the Lynx IFV as alternative to the ASCOD 2, CV90 and Puma. Thus if Mr. Kraus lied in regards to the lower accuracy and reliability of the other options, he also would have lied about the Lynx which most likely would result in him loosing his job (negatively reporting in the press about a product from the company that writes part of your paychecks won't make your employer keep you). Meanwhile the MELLS dual-missile launcher for the Spike-LR anti-tank guided missiles (ATGM), which should be compatible with the improved Spike-LR II due to both variants of using the same interfaces, is being tested in the WTD 41 technical centre in Germany. 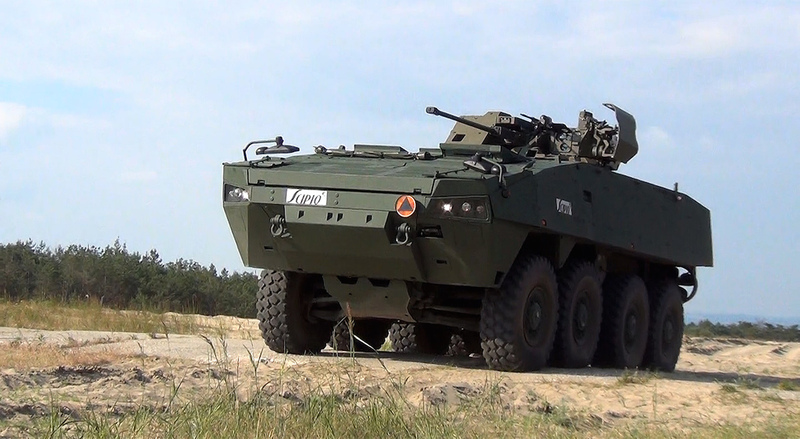 The military of Slovakia has chosen the Patria AMVXP (extra payload) as the new 8x8 wheeled vehicle. The AMVXP is an improved variant of the original Armored Modular Vehicle (AMV) with a raised maximum gross vehicle mass of up to 30 metric tons according to Patria's current data sheet, 13 tons of which are payload that can be used for installing heavier armor packages, mission kits or new weapon stations. Other sources mention a larger maximum gross vehicle mass of 31 or 32 metric tons. The vehicle is powered by a 450 kW (603 hp) Scania diesel engine linked to a 7+1 gear automatic transmission. It features a fully independent double wishbone suspension, an integrated terrain control system and a central tyre inflation system. 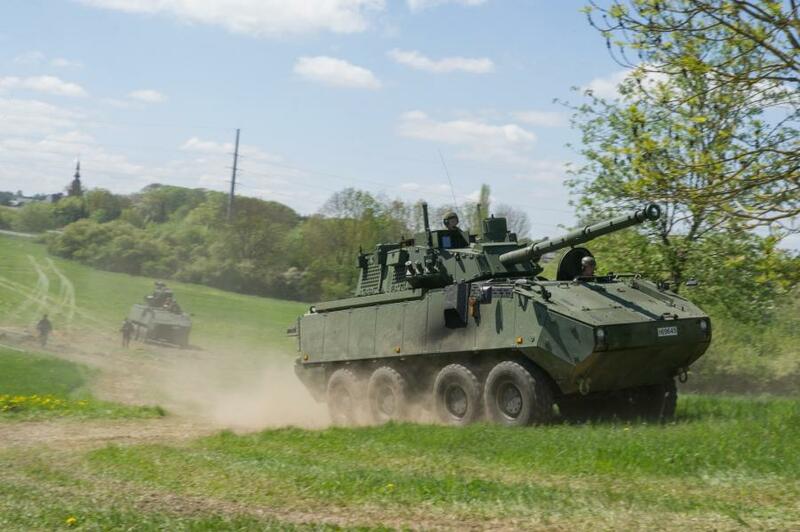 The Slovakian Army will use the AMVXP as an infantry fighting vehicle (IFV) fitted with the Turra 30 turret from local manufacturer EVPÚ. This unmanned turret is armed with a 30 mm autocannon - either a Soviet-design 2A42 gun or a Mk-44 Bushmaster II from Aliant Techsystems - a coaxial machine gun and a dual missile launcher for anti-tank guided missiles (ATGMs). Self-defence is provided by limited amounts of passive bolt-on armor aswell as eight smoke-grenade dischargers. The Turra 30 features a single main optic incorporating a laser rangefinder, a camera and a thermal imager. There is no independent optic for the commander, thus the turret is not enabling operating in a hunter-killer mode. This turret was also offered on the BVP Šakal modernization for the BMP-2. The Slovakian military has plans to order a total of 81 AMVXP vehicles, that will be delivered between 2018 and 2024. Prime contractor for the deal is Konštrukta Defence A.S., other contractors include Patria Land Systems and EVPÚ. Previously the country had ordered about thirty AMV vehicles in a variant made under licence by the Polish company Rosomak S.A.. These vehicles also were set to recevie the Turra 30 turret and were nicknamed Scipio; maybe this name will be retained. The deal was canceled for unknown reasons, apparently the Patria AMVXP hulls will be manufactured in Finland rather than in Poland. 227 Piranha 5 vehicles will be operated by the Romanian military in the future. 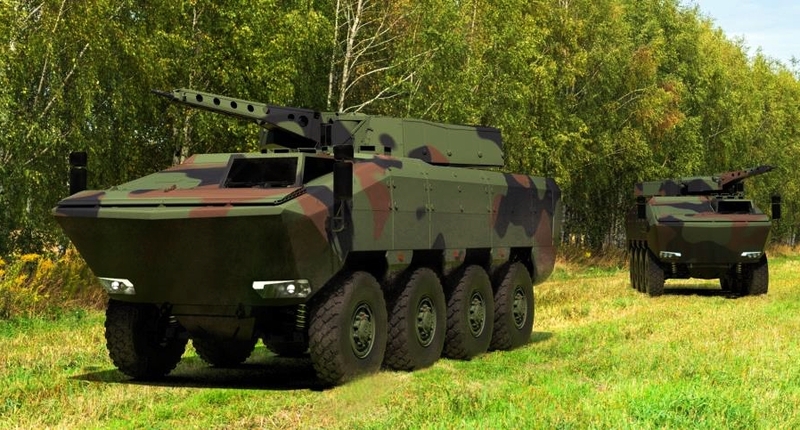 The Romanian news website hotnews.ro has reported that the German company Rheinmetall is still trying to sell the Agilis vehicle to the Romanian military. Previously there were no details revealed on the state of this program - following the decision of the Romanian government to start the licence production of 227 Piranha 5 vehicles in the Uzina Mecanica Bucuresti plant in Bucarest, a site operated by the state-owned company Romarm, one had to consider that this possibly meant the end of the Agilis. 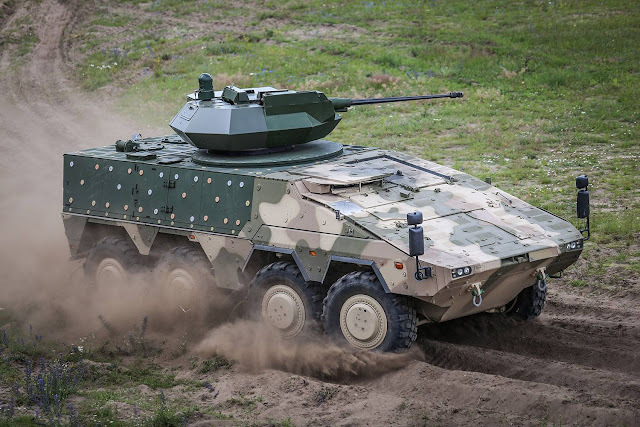 Rheinmetall plans the production of about 400 of the Agilis vehicles via the company Romanian Military Vehicle Systems S.A., a joint-venture between Rheinmetall (50%) and the Ministry of Economy (50%) of the Eastern European country. Originally more than 600 Agilis vehicles were planned, but the adoption of the Piranha 5 reduces the required number of new vehicles. The factory of Romanian Military Vehicle Systems S.A. is located in the town of Moreni and would also assemble MAN military truck, if Rheinmetall's bid to provide the next truck system to Romania is successful. The Agilis contains 87% locally manufactured components, some of which are derived from the previous SAUR vehicle projects - the design is said to also include some features from the Dutch-German Boxer vehicle; only the engine, transmission and some parts of the Rheinmetall-designed drivetrain have to be imported. The chassis is expected to be assembled in the Moreni plant. The fact that all intellectual property of the vehicles remains in Romania is one of the reasons why the Agilis could be easily exported to other countries. The Agilis program could create a further 420 jobs in the Romanian defence industry; 120 jobs in the joint-venture and up to 300 jobs in the Moreni plant. While Rheinmetall is still pushing for the Agilis, the final decision has to be made on the side of the Romanian government. At the end of the year the Romanian Ministry of Finances has to agree with the funding for the Agilis development, which would take some €234 million for a period of three years. The first vehicles could then be delivered in 2020, after a public tender would be held and a contract would have been signed. Local production would last until 2029, if no follow-up contract is signed. The vehicles are then expected to last to 2055 or beyond. According to current projections, the Agilis 8x8 wheeled vehicle will serve in at least six different variants within the Romanian army. These variants are an armored personnel carrier (APC), which however is expected to be fitted with a 30 mm gun turret and therefore might be considered to be an infantry fighting vehicle instead, a mobile command post variant, a medevac ambulance vehicle, a CBRN variant, a recovery version featuring a 3 metre long crane cabale of lifting a 5 ton heavy object and two 11 ton hydraulic winches, and a mortar variant with a 120 mm mortar located in the rear compartment. The Agilis vehicle is 8.02 metres long and 2.99 metres wide (excluding the side-view mirrors) while being 2.5 metres tall in the APC variant. The vehicle is powered by a 612 horsepower diesel engine from the German manufacturer Liebheer, that is linked to a ZF transmission. The ground-clearance is projected to be 430 milimetres. The top speed of the Agilis is expected to exceed 100 kilometres per hour on road, while the road range is more than 800 kilometres. The vehicle can climb 60% slope and drive on 30% side-slope. The vehicle is designed with a turn radius of 9.5 metres. The Agilis is an amphibious vehicle, although depending on armor package and mission kit the vehicle might loose this capability. The Agilis is fitted with modular armor providing a limited amount of protection in the basic configuration. The vehicle is protected by modular composite armor, although the basic armor package is designed to provide ballistic protection against small arms fire only - earlier sources suggest protection according to the STANAG 4569 level 2 or level 3 standard. The high ride and a composite floor plating are to provide decent protection against mines and improvised explosive devices (IEDs) of unspecified size. 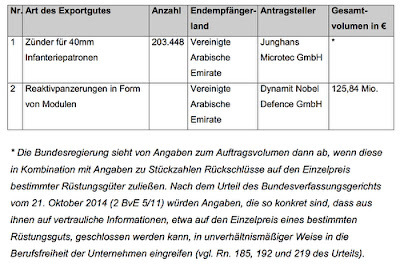 While it has not revealed which type of armor is to be used on the Agilis, it seems reasonable to assume that Rheinmetall's own VEHRA (Versatile Rheinmetall Armour) or the AMAP/ProTech composite armor designed by IBD Deisenroth, which is manufactured by Rheinmetall Chempro, is to be used to protect the vehicle. While the older Agilis designs saw the APC/IFV variant armed with a 25 mm gun only, the latest suggestions include a 30 mm autocannon with 150 rounds of main gun ammo and a 7.62 mm machine gun with 400 rounds ready-to-fire ammunition for the APC/IFV. These weapons are located in Rheinmetall's two-men Lance Modular Turret System (MTS), which is fitted with two set of SEOSS sights - while the graphics show only a SEOSS for the gunner, the text speaks of an independent optic for the commander aswell. The Lance turret is also offered on the Boxer CRV/IFV and the tracked Lynx IFV. It was chosen a few years ago by the Spanish marines for use on the Piranha IIIC. The digital SEOSS sight includes a two-axis stabilization, a third generation SAPHIR thermal imager, a laser-rangefinder and a daysight CCD camera. The APC/IFV variant has a crew of three (commander, driver and gunner) and carries seven dismounts. The command post variant has a crew of two and carries five dismounts/further soldiers. All other variants have a crew of four. As detailed by the Czech military news website/blog Armádní Noviny, the negotiations on buying the Puma IFV are going on. The main German companies responsible for developing and manufacturing the Puma have met with representatives of more than 30 potential Czech partner companies in the Diplomat hotel in Prague to discuss possible work-share and future cooperation in the military vehicle industry. 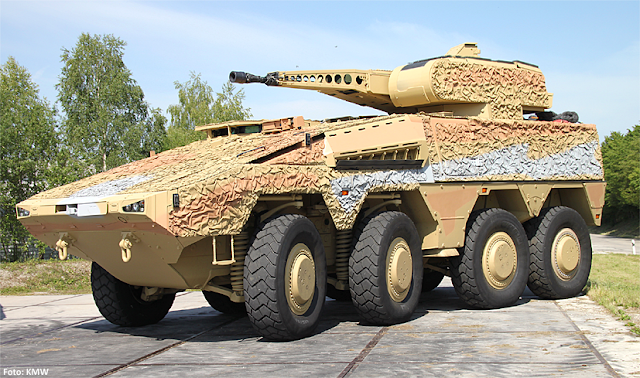 According to PSM Projekt System & Management GmbH, the joint-venture between Krauss-Maffei Wegmann (KMW) and Rheinmetall that manages the Puma project, a cooperation in the manufacturing process of the Puma IFV would result in a gain of know-how and could also lead to future cooperations in projects like the Boxer APC, the Leopard 2 main battle tank and the Panzerhaubitze 2000, vehicles that the Czech Army might want to buy in the future. Puma IFV during the Czech trials. Czech sources mention that in theory about 35 billion Czech koruna (about €1.3 billion) worth of contracts could be awarded to local companies in case of the Puma being chosen as new infantry fighting vehicle. 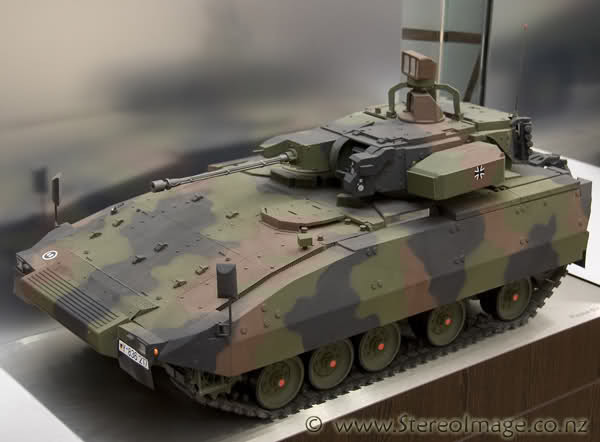 Given that the Puma supposedly outperformed all other alternatives, the key problem remains the budget - the acquistion of new IFVs is planned to cost only half of the 50 billions Czech koruna (€1.916 billion) budget, but the price for 210 new Puma IFVs, spare parts, training, simulators and other services is understood to exceed this amount of money. There are multiple ongoing procurement programs in Asia and Europe regarding the adoption of modern 8x8 wheeled vehicles for use as ambulance vehicles, armored personnel carriers, infantry fighting vehicles, mortar carriers and other roles. While Australia and supposedly also Japan are looking for a new 8x8 vehicle, Germany is upgrading the Boxer MRAV and adopting further variants. The British Army is requiring the largest number of new 8x8 vehicles, but various Eastern European countries including Bulgaria, Romania, Slovakia and Slovenia are also interested in new wheeled combat vehicles. This means that vehicles such as the Advanced Modular Vehicle (AMV) from Patria, Artec's Boxer MRAV (multi-role armored vehicle), the Pandur II and Piranha V from General Dynamics European Land Systems, and "underdogs" on the international market such as the Terrex 3 and the French VBCI might be adopted in larger numbers by the militaries of multiple countries in the near future. The US-based company Textron and a Turkish company are also bidding in some tenders. A key factor for the developments on the global 8x8 vehicle market might be the decision of the Australian military in the LAND 400 program, which is expected to be made in early 2018. The phase 2 of LAND 400 included four of the most advanced current 8x8 vehicles - variants of the Boxer, the Patria AMV, the LAV 6.0 and the Sentinel (Terrex 3) - i.e. vehicles that are relevant for any military considering to buy a new eight-wheeled armored personnel carrier (APC), infantry fighting vehicle (IFV), or Combat Reconnaissance Vehicle (CRV). 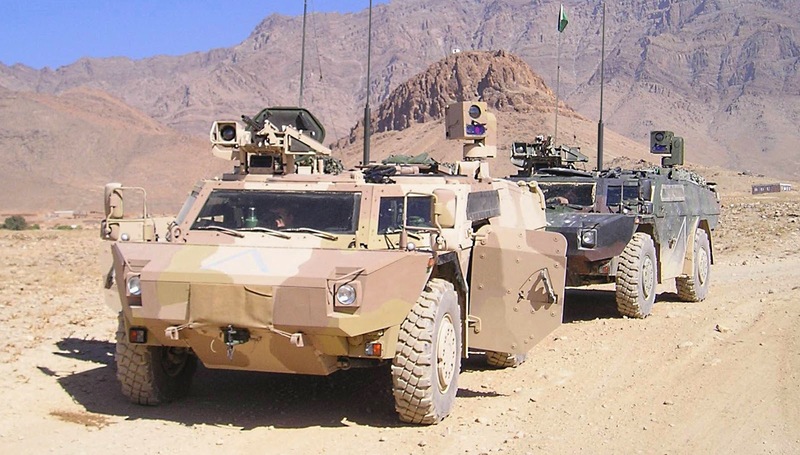 Various other vehicles such as the VBCI 2 were initially also offered to the Australian military, but the bids were withdrawn when it became clear that a solution based on military of the shelf (MOTS) components was favored. Currently only the Boxer CRV and AMV-35 remain in the competition. Based on the prototypes being tested in Australia, it appears that both consortia are betting on very different strategies. While Rheinmetall showcases the Boxer CRV as a very customizable high-end offering including all of the latest gadgets (including active protection system, remotely operated weapon station, anti-tank guided missile launcher, accoustic sniper detection system, laser warners, situational awareness system, etc. 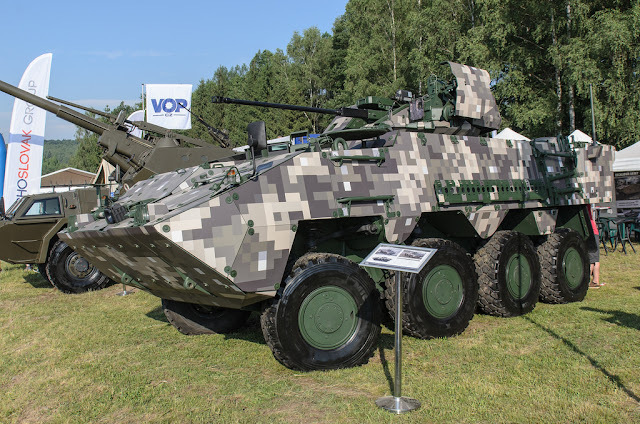 ), the BAE-Patria joint-venture focuses with the AMV-35 on a more affordable offering, presumably trying to impress with a higher cost effectiveness compared to the Boxer. 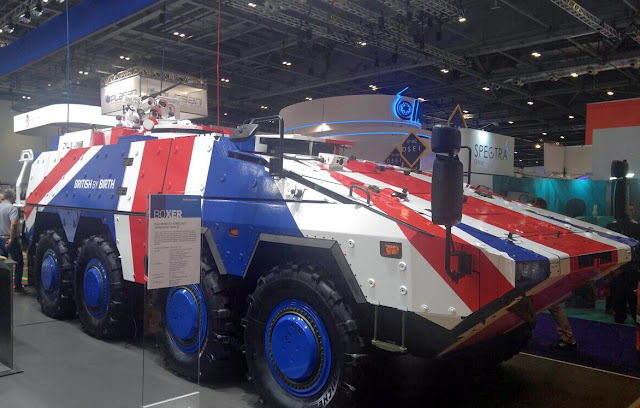 The British military is considering to buy the Boxer MRAV for the Mechanized Infantry Vehicle (MIV) program, as mentioned by various news sources over the last year. The number of vehicles to be purchased within the £3 billion project is varying by source from just 300 up to 900. While there are several options offered by the arms industry to the UK, the British Army has not yet decided wether it wants an open tender or prefers a direct government-to-government (G2G) deal with Germany for buying Boxers. The advantage of open competition is that the best solution can be found, be it the overall cheapest solution, the most capable vehicle or the jack of all trades. On the other hand the budget of the British Army has shrunken dramatically - and is expected to shrink further thanks to the Brexit - so that English newspapers suggest that an open evaluation of multiple contenders might be too expensive (and with Brexit potentially resulting in additional tolls to be paid also too time consuming). A decision wether to buy the Boxer MRAV or have an open competition is expected at the end of 2017. If the Boxer CRV is chosen by the Australian Army over the AMV-35, this could have positive effects on its chances in the United Kingdom according to German speculations. First of all, there would be greater interoperability between the ground forces of two commonwealth nations, something that is assumed to be desirable. Furthermore the British Army could argue that the Australian tests already have proven the superiority of said vehicle, circumventing open competition in order to rush a vehicle in service. 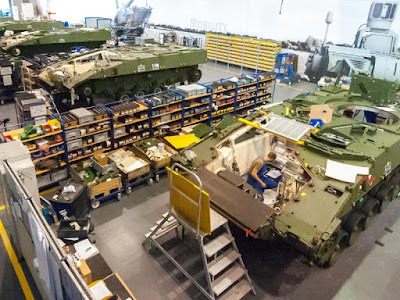 While this in general would also work with the Patria AMV, there are no news reports on the UK Ministry of Defence (MOD) thinking about purchasing the AMV instead of having an open tender. Supposedly the UK is also looking for a self-propelled artillery gun (SPG) variant of the vehicle purchased under the MIV program. 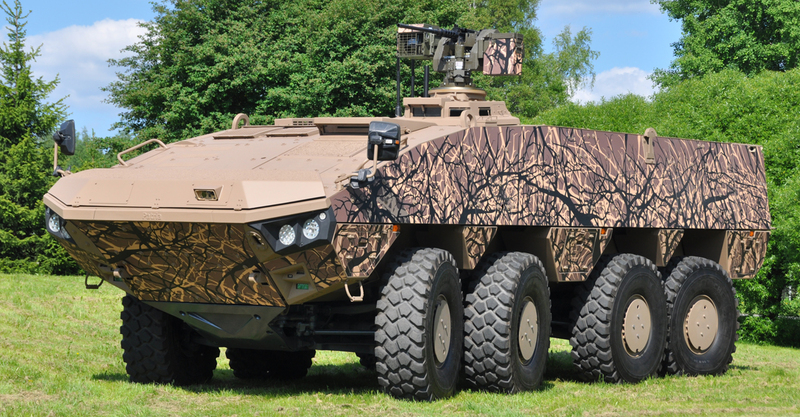 The Boxer MRAV is the only modern 8x8 wheeled solution that has been showcased with a 155 mm gun, i.e. the artillery gun module (AGM) from Krauss-Maffei Wegmann (KMW) mounted instead of a mission module. The long L/52 gun barrel of the AGM and the high level of protection provided by the Boxer's drive module makes this solution in some aspects better than the current tracked AS-90 self-propelled gun. At the DSEI 2017, various manufacturer's presented their potential offers for the MIV program including the Piranha 5 from General Dynamics, the Patria AMV XP, the VBCI from Nexter, and two different Boxer variants from Artec. Rheinmetall painted one Boxer with the Union Jack, while KMW focused on showcasing the modularity of the vehicle with an IFV variant. Aside of the benefits that the modular design enables, the German companies also mention that the UK would have full intellectual property of the Boxer due to its history (being designed in a multi-national project that used to include the UK), allowing them to create and sell their own vehicle variants without any interference from the Germany. Supposedly Japan is also interested in adopting a more modern 8x8 vehicle compared to its old and lightly protected Type 96 armored personnel carrier. Mitsubishi has already created and showcased a prototype vehicle based on components from the Type 16 Maneuver Combat Vehicle (MCV). However Japan is known to have a somewhat deep military cooperation with Australia, which is why the country of islands is observing the decisions LAND 400 program - apparently some sources suggest that the Japanese Ground Self-Defence Force (JGSDF) might be interested in having a certain degree of interoperability with the Australian Army. 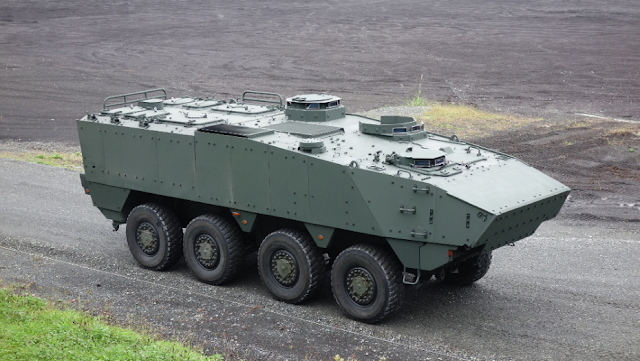 According to the German website hartpunkt.de, defence industry insider sources claim that the Japanese military requested informations on the performance of the Boxer MRAV, specifically regarding its armor protection and modularity. It is worth mentioning that in July 2017 Germany and Japan signed an agreement for cooperation in the arms industry/technology sector. Back then it was reported that Japan was primarily interested in German protection technology, i.e. technologies regarding special armor and potentially also active protection systems. The Japanese news service Asahi Shimbun specifically mentioned that this technology was meant for a "troop transport carrier" (i.e. an APC or IFV). Negotiations regarding the agreement started already in 2015; both countries agreed to not disclose the exact content of the contract. In September 2017 a German-Japanese military technology forum was held in Tokio, which included more than thirty German defence companies. The Bundeswehr recently decided to upgrade all current Boxers to the new A2 configuration, which features changes to both the drive module and the mission module, such as installing a new satellite communication system, fitting an improved driver vision systems, adopting a new storage arrangement, making changes to the cooling and exhaust system of the vehicle, improved protection and adding a secondary control panel for the FLW 200 remote weapon station. A contract for the upgrade of 124 armored personnel carriers, 72 ambulance vehicles, 38 command post vehicles and 12 driver training vehicles was announced in July 2017. All new Boxers that have been and will be ordered by the German Army will also be delivered as Boxer A2 or in a follow-up configuration. 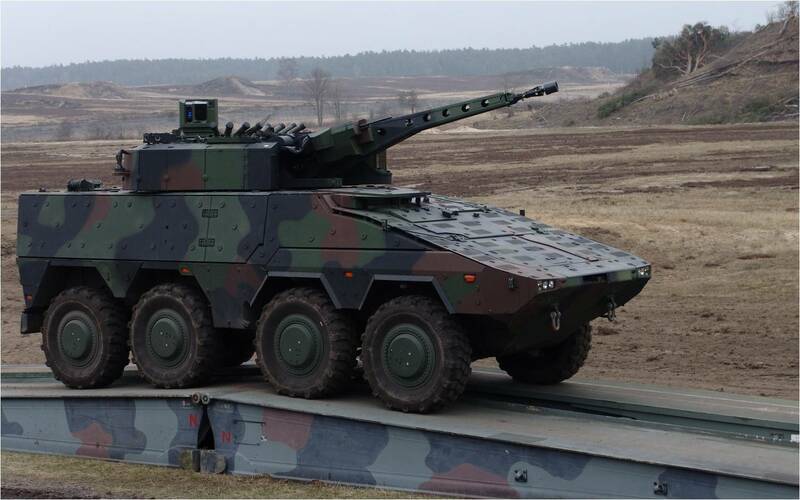 According to the German website hartpunkt.de, the German Army plans to use the Boxer as base for a heavy vehicle for the joint fire support team (JFST) units. This Boxer JFST variant would be equipped with a high quality sensor package, probably the mast-mounted BAA II surveillance and reconnaissance platform from Hensoldt Optronics, that is already being used on the light JFST vehicle on the Fennek 4x4. 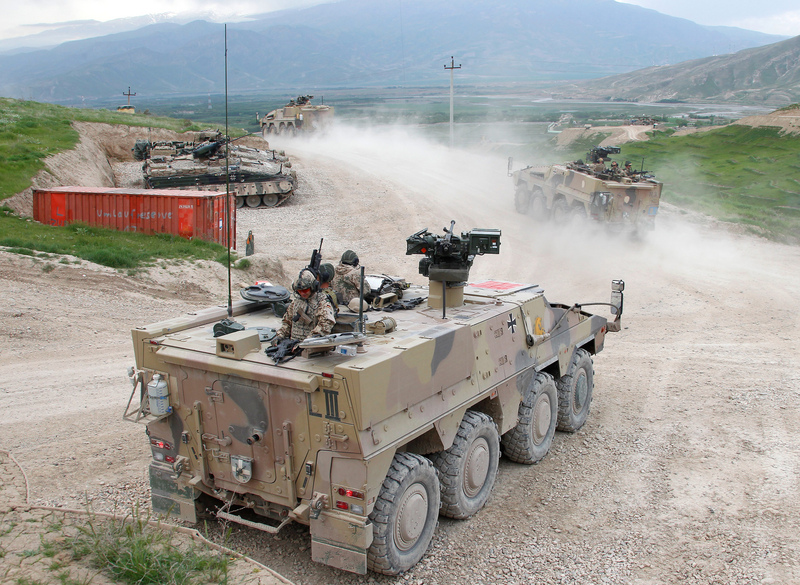 Rheinmetall as member of Artec also offers a number of sensor platforms for ground vehicles, such as Vingtaqs II system that is operational with the Norwegian and Malaysian militaries. Alternatively the greater payload and internal volume of the Boxer could be used for a larger sensor package, which could in theory also include a larger ground surveillance radar unit. A Fennek can carry only the equipment for either ground-to-ground coordination or ground-to-air coordination, each Fennek JFST vehicle is hence specialized on either role. The Boxer has enough room to hypothetically carry the equipment for both tasks, although it hasn't been decided if a single Boxer should be used for both roles. The Boxer was chosen over a competiting design based on the PMMC G5. 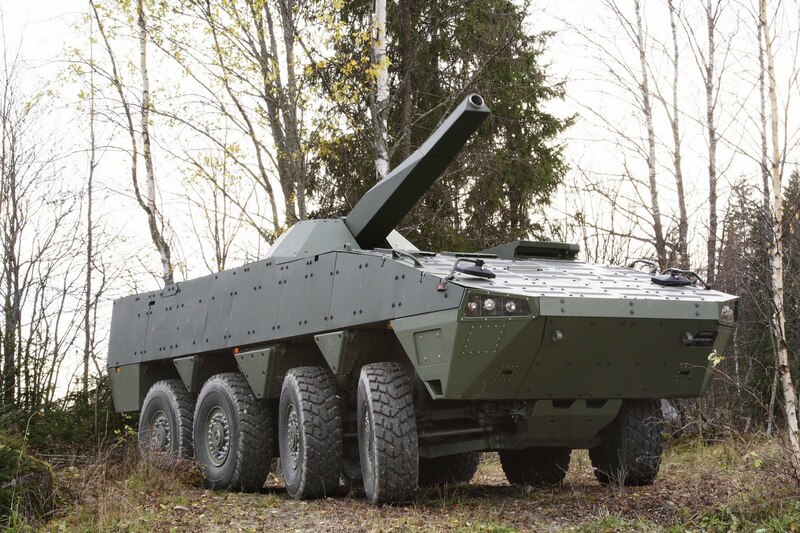 Unlike current JSFT solutions from the UK and the United States, the Boxer is not expected to be fitted with a direct fire gun or anti-tank missiles. There is a requirement for about 20 to 30 Boxer heavy JFST vehicles. 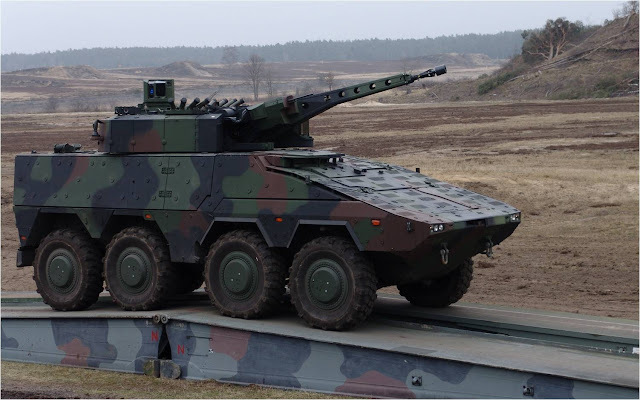 Currently there are also plans for a fire support variant of the Boxer for the Jäger units, according to Inspector of the Army Jörg Vollmer, who is in charge of the German Army. The plans see the fifth (heavy) company of each battalion receiving Boxers with direct fire guns. The exact type of armament has not been specified, but given earlier reports it seems likely that the interest is focused around the 30 x 173 mm calibre, i.e. the same MK 30-2/ABM main gun as used on the German Puma infantry fighting vehicle (IFV). The vehicle might as well be fitted with a launcher for the Spike-LR anti-tank guided missile (ATGM). Currently the German military is said to consider different turret options and still has to decide wether a manned or an unmanned system is favored. 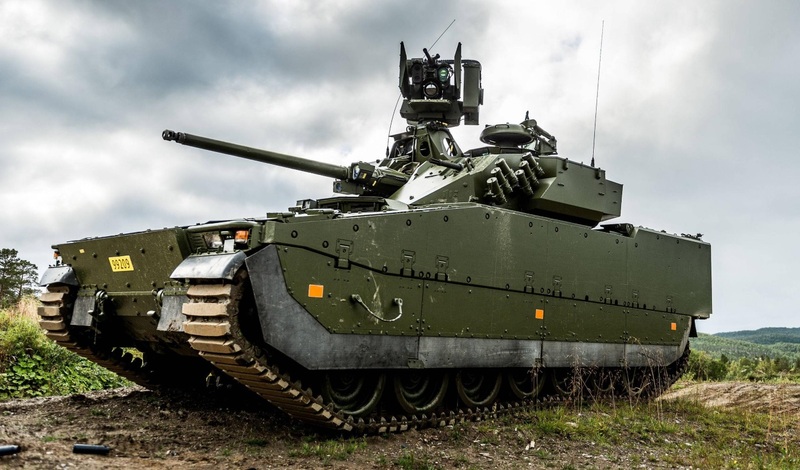 It is understood that the choice - if the informations regarding a 30 mm calibre are correct - is limited to KMW's Remote Controlled Turret 30 (RCT 30; essentially a Puma turret) and the Lance Modular Turret System from Rheinmetall. Both these turrets have their own unique advantages and drawbacks. The RCT 30 is already in service with the German military and hence provides advantages in regards to training, logistics and spare parts. Furthermore it appears to be more heavily armored than the Lance turret, as it is can be fitted with additional roof armor against shaped charge bomblets; while Rheinmetall manufactures similar armor, there hasn't been a prototype of the Lance turret featuring such improved roof armor. The unmanned nature of the turret makes it smaller and lighter. However unmanned turrets have worse situational awarness than their manned counterparts. 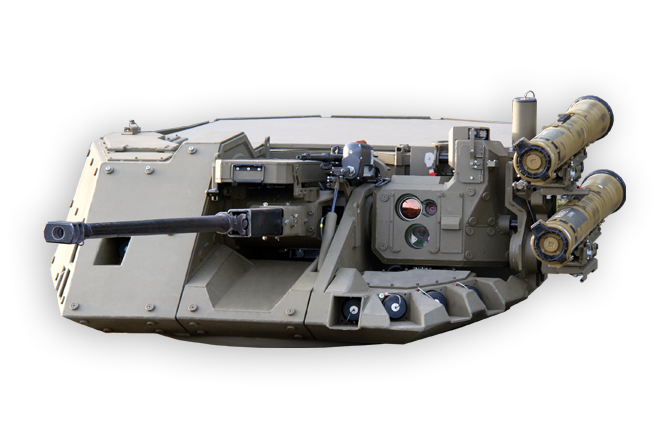 The Lance turret on the other hand is available in either unmanned or manned configuration, but it seems likely that only the latter is being considered, as this was already installed on several Boxer prototypes including the Boxer CRV. It is larger than a Puma turret and also heavier, when fitted with a similar armor package; however in theory it can also adopt larger calibre guns such as the 35 x 228 mm Wotan 35 chain gun. The Lance turret suffers from being fitted with several Rheinmetall-made components, which have not been adopted yet by the German military, albeit the modular construction might allow to change them. For example the turret is fitted with either one or two stabilized electro-optical sensor systems (SEOSS); one for the gunner (and one for the commander respectively), but the German Army relies on optics from Hensoldt Optronics for the Puma and several other combat vehicles. In theory the German military could choose a lighter or heavier weapon station from various manufacturers. 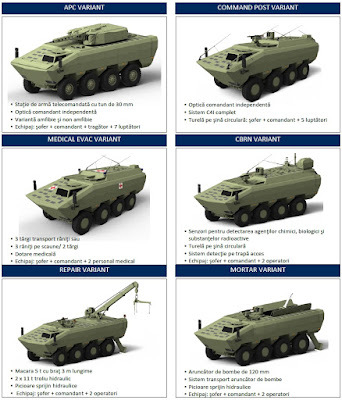 Just looking at the offerings from the two companies involved with producing the Boxer MRAV shows a wide variety of possible alternative armament options. Krauss-Maffei Wegmann showcased the FLW 200+ on the Boxer a few years ago, which is an enhanced variant of the currently used FLW 200 remote weapon station (RWS), that can accept the 20 mm Rh 202 autocannon with 100 rounds of ammunition. The 500 kilograms heavy FLW 500 RWS can accept 30 mm autocannons such as the M230LF chain gun from ATK, a coaxial 7.62 mm machine gun and an optional missile launcher. Rheinmetall has developed the Oerlikon Fieldranger 20 RWS, which is armed with a 20 mm Oerlikon KAE autocannon; however this is not chambered in the 20 x 139 mm calibre as the Rh 202, for which the German Army should still have lots of ammunition - instead it uses the slightly less powerful 20 x 128 mm calibre. Given that the new Boxer variant is meant as a fire support vehicle, one could wonder why the armament choice is supposedly focused on the 30 mm calibre, when other vehicles of the same type are often fitted with larger guns. E.g. the Belgian Army has adopted a number of Piranha IIICs with a 90 mm Cockerill gun for direct fire support, while a Rosomak prototype was fitted with the Cockerill 3105 turret. The Boxer with a much higher maximum gross vehicle weight - the latest available variant can support up to 38.5 metric tons and can be fitted with a 800 horsepower engine - should have no issues accepting a low-profile turret with a 120 mm smoothbore gun (such as the 120 mm L/47 LLR from Rheinmetall). Aside of the exact turret choice, a number of other questions remain. A key question revolves around the role of the Jäger (light mechanized/motorized infantry) compared to the Panzergenadiere (mechanized infantry). Traditionally only the Panzergrenadiere are making use of infantry fighting vehicles, while the Jäger are limited to "battle taxi" style vehicles, which also affects the doctrines of these units. However putting a gun on an armored personnel carrier (APC) doesn't mean that it has to be employed like an IFV. Another decision yet to be made is focused on wether the Boxer fire support variant will carry a dismount squad or not. If a dismount squad is carried, it needs to be smaller in order to compensate for the ammunition storage, the gun operator(s) and the turret basket (in case a manned turret is chosen). Regardless of the decision, a contractt is not expected to be made before 2019. Then the Boxer fire support vehicles could enter service in 2021. 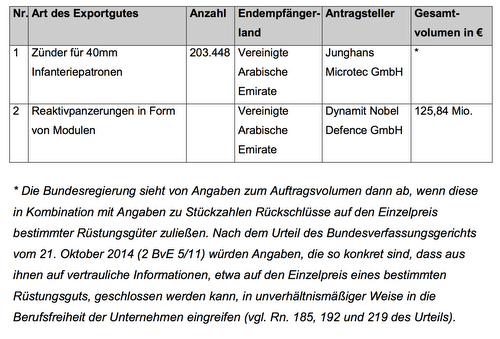 A total of about 100 vehicles is required based on the current amount of German Boxer APCs. The Bulgarian military is planning to purchase about 600 new 8x8 vehicles in several different variants for three new battlegroups. Among the demanded variants are also a mortar carrier and an infantry fighting vehicle. Supposedly the bidding process for this military procurement started already in May, with six vehicles being offered to win contract worth more than €500 million Euro. 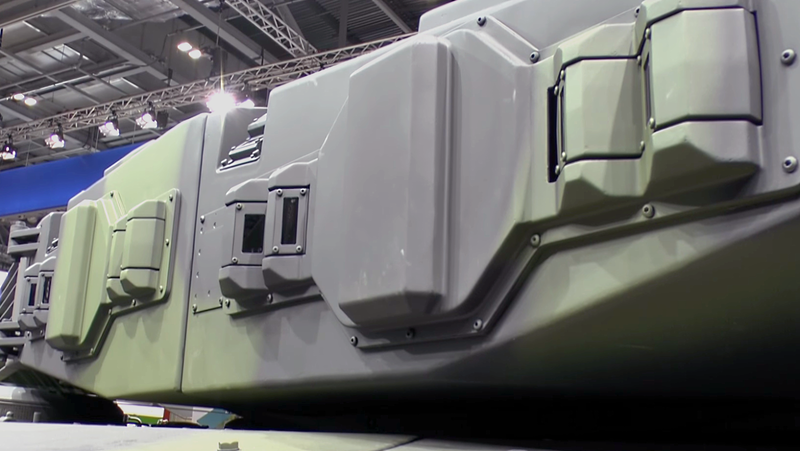 Artec is offering the Boxer, despite the fact that currently no operator has ordered a mortar carrier variant and not a single prototype of this is known to exist - the modular design however would enable a fast creation of such. It is also not known which turret will be offered for the IFV variant. While the Boxer MRAV is extremely expensive compared to other solutions - in Lithuania the initial offer was claimed to be more than twice as costly as the Stryker ICV proposed by General Dynamics - the vehicle's superior performance (specifically the higher level of protection) resulted in the Lithuanian Army opting for it. The military prefered the Boxer MRAV, the politicans wanted a cheaper solution. In the end the Vilkas variant of the Boxer, mounting the cheaper and slightly less capable Samson Mk 2 RWS instead of the Puma's RCT 30 turret, was chosen. General Dynamics European Land Systems (GDELS) offers the Piranha V vehicle family. An IFV variant of the Piranha V fitted with Rafael's Samson Mk 2 RWS was demonstrated on the 27. April at the Military Poligon Tylbleto in Bulgaria. The demonstration lasted three days and included live firing tests with the 30 x 173 mm Mk 44 Bushmaster II gun. The Samson Mk 2 RWS features two separate set of sights, a 30 mm autocannon, a coaxial 7.62 mm machine gun and a pop-up launcher for two Spike-LR missiles. It was also fitted to various IFV prototypes provided to the Czech Republic. 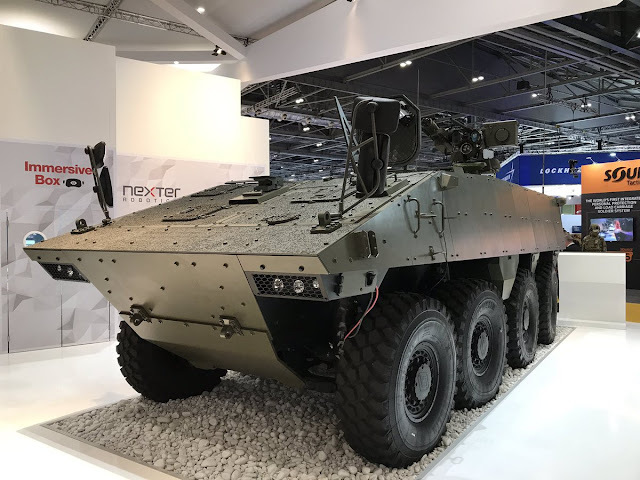 While KMW as part of Artec is suggesting the Boxer to Bulgaria, the French company Nexter - a joint-partner of KMW - is offering an unknown configuration of the VBCI or VBCI 2. 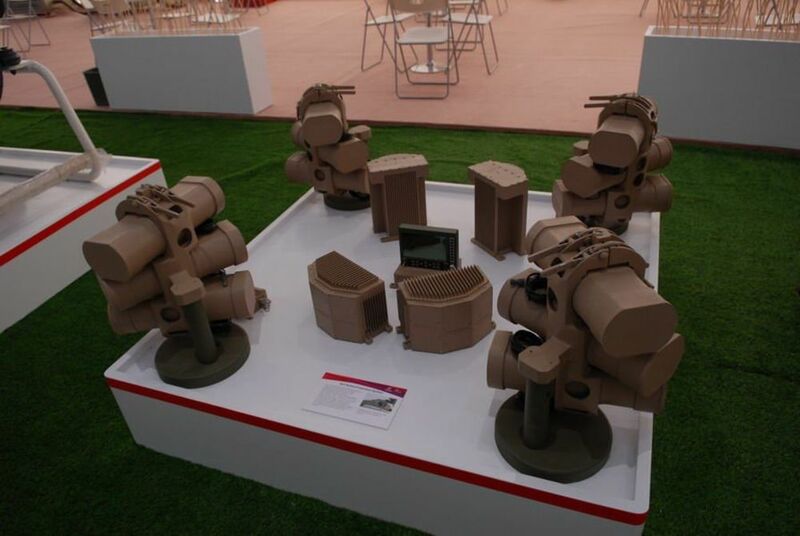 While not produced yet, Nexter already showcased scale models of a mortar carrier variant of the VBCI back in 2013. These models featured a large roof hatch with a two-piece door atop of the rear compartment. Inside the rear compartment an unspecified semi-automatic 120 mm mortar - similar to RUAG's Cobra mortar and the MO 120 mm R2RM from TDA Armaments - is mounted. As IFV the VBCI 2 can be fitted with a 25 mm autocannon in a one-man turret or with a two-man turret mounting a 40 mm CTAS gun. In theory unmanned turrets and other calibres are also available, but they have not been fitted to known prototypes of the VBCI 2. Patria is offering versions of the Armored Modular Vehicle (AMV), although more details have yet to emerge. The wide userbase of the AMV has resulted in various different variants, so often multiple AMV versions are available for the same role. I.e. 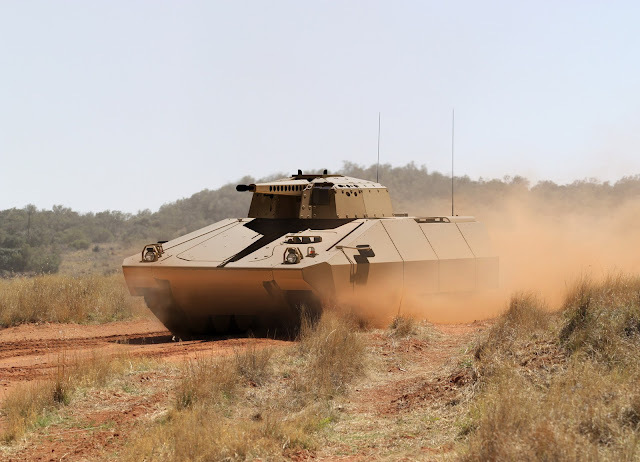 there are infantry fighting vehicles based on the AMV mounting the Hitfist turret from Leonardo (after acquiring Oto-Melara), the LCT30 turret from Denel Land Systems, and the BMP-3 turret, while prototypes were equipped with the unmanned MCT-30 turret from Kongsberg, the E35 turret from BAE Systems and the new 40 mm CTAS-armed turret of the Warrior WLIP upgrade. 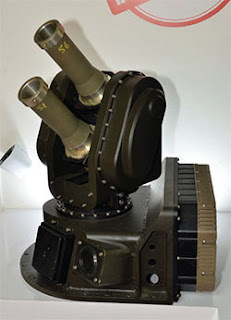 Likewise there are multiple 120 mm mortar variants with the Polish Rak mortar, the NEMO turret and the AMOS turret, while South-Africa has ordered a 60 mm breech-loaded mortar turret for some of its AMVs. Supposedly two further competitors are interested in getting a deal for equipping the new Bulgarian battlegroups: Textron and an unnamed Turkish company. There is some confusion regarding Textron here: Textron is not known for offering 8x8 vehicles, although it is not directly specified that a 8x8 vehicle is required. The US company was contracted to deliver about 17 M1117 Guardian armored security vehicles (ASVs) to the East European country in 2014; a further batch of ten vehicles was ordered in mid-2017. 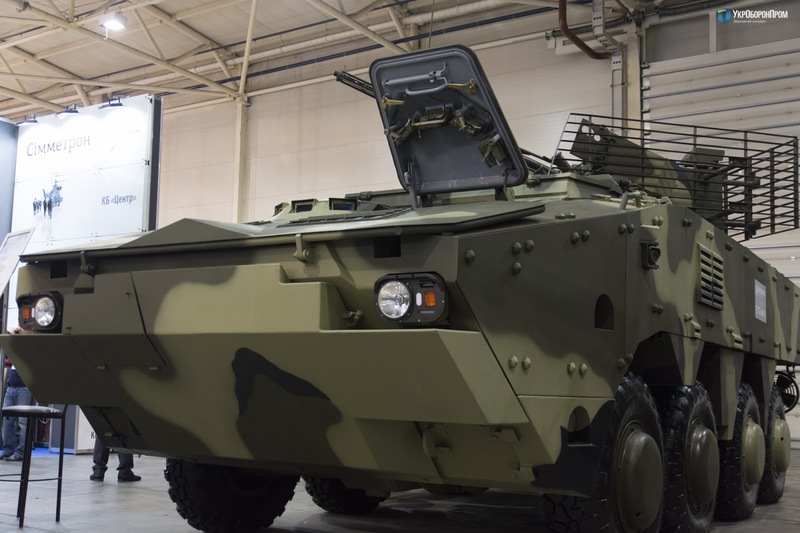 According to the Bulgarian news website dnevnik.bg, Textron and Rheinmetall have partnered to offer an unknown 6x6 vehicle for local production in Bulgaria. As for the Turkish contender, this most likely is either FNSS offering a variant of the Pars or Otokar offering a variant of the Arma. Given the recent political tensions between various European countries and Turkey, it seems unlikely that a Turkish contractor would be chosen - the Czech Republic rejected all Turkish tracked IFVs due to the instable political relations. Two years ago in 2015, the Slovakian Army ordered about 30 Rosomaks (a Polish variant of the Patria AMV) fitted with the locally made Turra 30 turret from EVPÚ. Apparently the contract was scrapped according to different reports, which is why Slovakia has shown interest in buying a total of about 100 - some sources mention a lower number of only 81 - new 8x8 vehicles. Furthermore a total of 404 modern 4x4 vehicles are required by the army. The official requirements for the procurement project are not known, but they include a larger number of contenders. Deliveries of the first vehicles are expected to start in 2018 and last until 2029; it is however possible that the earlier date is only valid for the 4x4 armored cars. 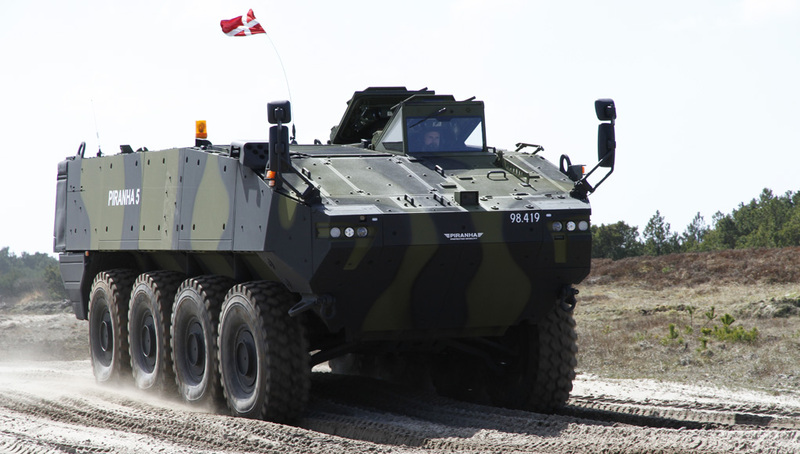 General Dynamics European Land Systems is understood to offer a variant of the Pandur II. The Pandur II is an evolution of the Austrian-designed Pandur I, that is currently only manufactured in other countries. The militaries of the Czech Republic, Indonesia and Portugal operate various versions of the Pandur II. Due to its relatively low weight - the currently procuded models have a combat weight of only 24 metric tons - the overall level of armor protection is rather limited. While fitting applique armor allowed to meet the STANAG 4569 level 4 requirement for ballistic protection, i.e. all-round protectiton against 14.5 mm AP ammo fired from close range, the protection against mines was rather limited. Only in October 2017, the Czech military annonced that the latest 20 Pandur IIs in the mobile command post variant have managed the qualification for STANAG 4569 level 4b mine protection, after being fitted with the new BOG-AMS-V seats. Last year GDELS presented a variant of the Pandur II co-developed with the Slovakian MSM Group, which is known as Corsac and features the same Turra 30 turret as the Scipio, mounting a 30 x 165 mm 2A42 autocannon, a coaxial MG and two 9M113 Konkurs (AT-5 Spandrel) ATGMs. However this armament can be replaced by Western alternatives such as the 30 x 173 mm Mk 44 Bushmaster II gun from Aliant Techsystems and Rafael's Spike-LR ATGM. The Corsac IFV is powered by a 450 hp Cummins ISLe HPCR diesel engine and has a combat weight of only 19.8 metric tons, which is apparently related to the armor package fitted to the prototype. Top speed is quoted as 115 kilometres per hour on roads, but the vehicle is amphibious and can swim at a speed of up to 10 kilometres per hours. The basic ballistic protection reaches only STANAG 4569 level 2, but applique armor kits for level 3 and level 4 are available - the vehicle was never presented without bolted-on add-on armor. The Corsac has room for six dismounts and a crew of two or three. It seems likely that GDELS could offer the same enhancments as found on the Czech Pandur IIs to reach a STANAG 4569 level 4 mine protection. 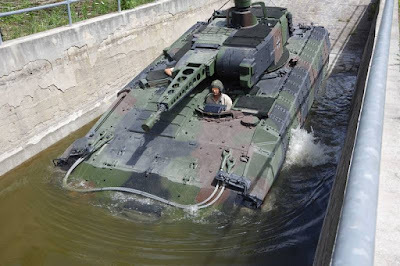 One of the other two known offers supposedly made to Slovakia includes the Patria AMV, possibly in the same configuration as originally ordered with the Scipio. If these vehicles will also be made in Poland (like the Rosomak and Scipio) or be made in Sweden is currently not known. Artec is offering the Boxer MRAV to the Slovakian Army - again it is unknown which exact variant is offered. Meanwhile Slovenia is said to intend purchasing about 50 wheeled IFVs for its military. Previously the military of Slovenia ordered a total of 135 AMV vehicles in different variants. The AMV is locally known as Svarun. 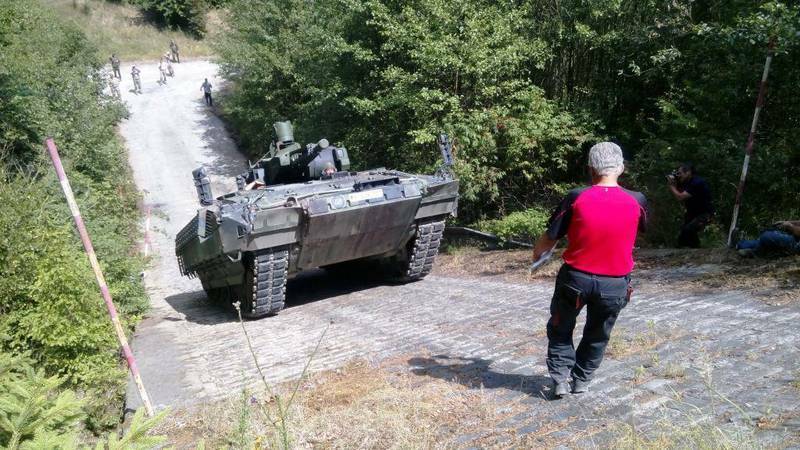 The order however was halted in 2012, after issues with the funding aswell as other political issues arose, which resulted in only thirty already delivered AMVs becoming operational with the Slovenian Army. Given this fact and that the southern neighbour Croatia is already operating the AMV in larger numbers, it seems likely that the Patria AMV has an advantage over potential competitors. Potentially Artec, General Dynamics, Nexter and ST Kinetics might be interested in competing for the contract. The Romanian Army will adopt General Dynamics' Piranha 5. In October 2017 the company announced that an initial batch of 227 vehicles will be manufactured by the Bucharest Mechanical Factory, which is owned by the Romanian state's Romarm Group. For handling the production of the Piranhas, GDELS will create a joint-venture in Romania. The military of the Eastern European country already ordered 43 older Piranha IIICs in five small batches starting in 2008. 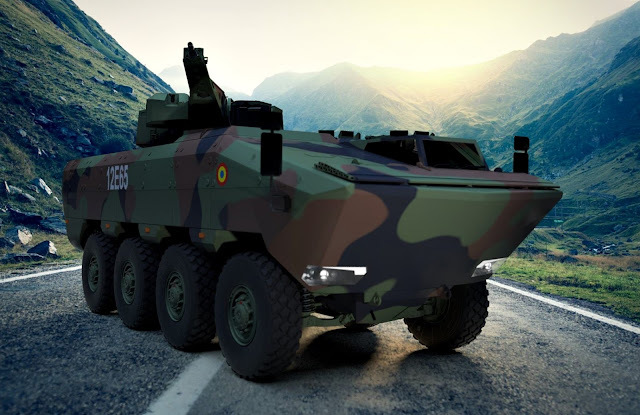 It is not known what effect this decision will have on the development of the Agilis, a 8x8 wheeled vehicle to be locally manufactured in Romania. 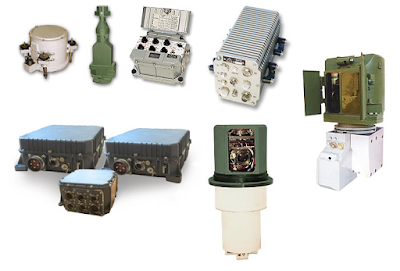 It is/was developed by a joint venture of the Romanian Ministry of Economy and the German company Rheinmetall. A total of 7 variants was to be made, while 80% of the work was planned to be done locally - only the engine and other drivetrain components would be imported. Hundred percent of the intellectual property of the Agilis would belong to the state of Romania, allowing easy export and local upgrades. The plans saw a total of 628 Agilis vehicles - 161 amphibious APCs, 192 heavier armored non-amphibious APCs, 24 medevac/ambulance vehicles, 90 CBRN reconnaisance vehicles, 40 mobile command posts, 75 mortar carriers and 46 recovery vehicles - to be made between 2020 and 2035, with further 4x4 and 6x6 options possible. 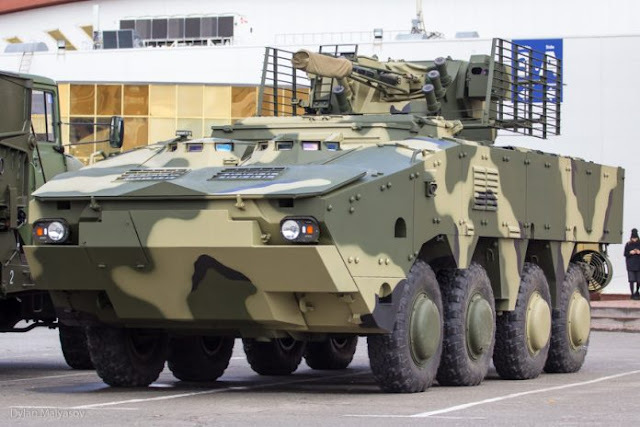 The state-owned Ukrainian company UkrOboronProm has presented a new version of the BTR-4 8x8 wheeled vehicle known as BTR-4MV1, which has been developed to NATO standards. This vehicle is designed and manufactured by the Kharkiv Morozov Machine Building Design Bureau and features improved armor protection over its predecessor. The BTR-4MV1 uses modular bolt-on armor that allows the vehicle to reach the STANAG 4569 level 4 and 5 (if desired) - this means the armor can provide allround protection against 14.5 mm AP ammunition and protection against 25 mm rounds along the frontal arc. 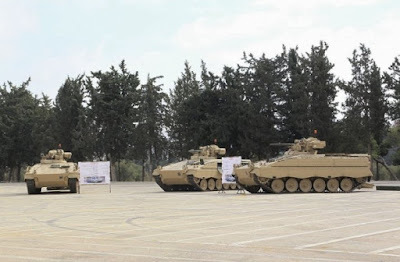 The new system also allows fitting explosive reactive armor (ERA) to the vehicle in order to resist shaped charge weapons such as the HEAT warheads of rocket propelled grenades (RPGs). The modular nature of the armor elements allows replacing damaged ones, thus reducing the time and costs required to repair a damaged vehicle. The weight of the BTR-4MV1 is claimed to have only increased by 2 to 3 metric tons, thus the vehicle would 23-24 metric tons with some more growth potential left. In terms of mobility nothing has changed, the vehicle uses the same suspension, the same German Deutz diesel engine and an Allison transimisison just like the original BTR-4. Due to the usage of low density/high volume armor in some sections of the vehicle, the BTR-4MV1 retains the amphibious capabilties of the original design, reaching a top speed of about 10 km/h in water and 110 km/h on land. A key difference compared to the BTR-4 can be seen at the vehicle's front. The large windscreens have been eliminated in favor of better armor protection. Commander and driver can now only see the exterior through a number of vision blocks. A number of cameras mounted along the vehicle's surface however provide the crew with a 360° situational awareness. The BTR-4MV1 retains the same weapon station as used on some of the earlier models, including a 30 x 165 mm autocannon, a dual launcher for missiles and a machine gun. There is only one set of optic on the weapon station, therefore the vehicle cannot be used for hunter-killer operations. The Russian Army has contracted the KPB Tula Instrument Design Burea for the upgrade of 540 old BMP-2 and BMD-2 infanty fighting vehicles (IFVs). 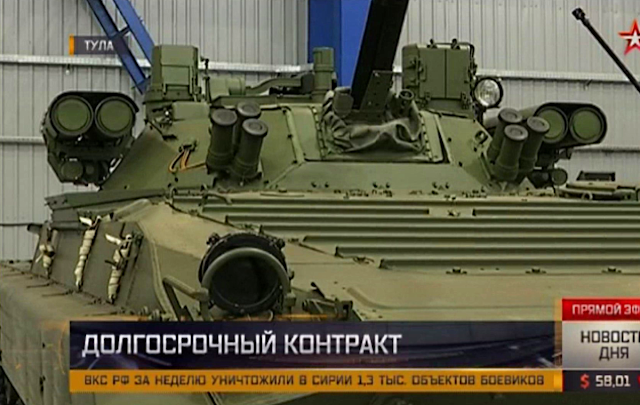 The complete scope of the upgrade is not known, but it is confirmed that both vehicles will receive upgraded turrets - or "combat modules" in the official Russian military lingo. The BMP-2 will be fitted with the B05Ya01 Berezhok combat module, while the BMD-2 will receive the lighter Bereg combat module. In theory further improvements could be part of different contracts with other companies, but it seems unlikely that the Russian Army is interested in adopting a heavier armor package or fitting a new engine to these vehicles - it would require large amounts of additional money, which instead can be invested into the development and manufacturing of the next-generation of armored fighting vehicles (AFVs) including the T-14/15 Armata, the Kurganets-25 and the Bumerang wheeled vehicle. Last year in 2016, the Russian Army contracted the 163rd Armor Repair Plant to overhaul a small quantity of existing BMP-2 IFVs. Overall the company is set to upgrade a total of 327 BMP-2s in the timeframe from 2014 to late-2018. Other comapnies such as the 103rd, 144th, and 560th Armor Repair Plants are also refurbishing existing BMP-2s, boosting the overall number to at least 586, which means that not all of these vehicles will receive the new turret upgrades from KPB Tula. In 2014 the Algerian Army ordered a total of 340 Berezhok turrets for upgrading old BMP-1s and BMP-2s to a more modern standard. These vehicles - apparently designated BMP-1M and BMP-2M, but not to be confused with the Ukranian BMP-1M upgrade - might also feature a larger powerpack such as the UTD-23 engine with 370 horsepower output, aswell as newer types of ammunition. In 2017 a prototype of the 8x8 Bumerang wheeled vehicle fitted with the Berezhok combat module instead of the Bumerang-BM unmanned turret was demonstrated during a military exhibition, although the latter system is commonly believed to be superior. 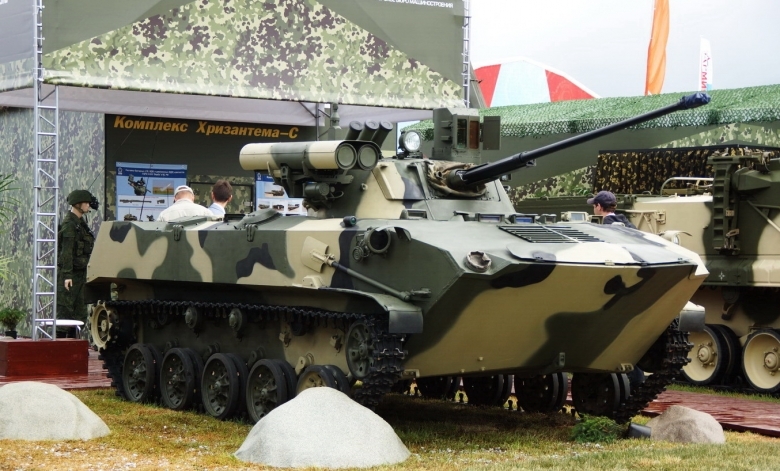 The Berezhok turret upgrades retains the 2A42 autocannon - chambered in the 30 x 165 mm calibre - as main armament, but features enhanced secondary armament and a new state-of-the-art fire control system (FCS). This new fire control system enables the IFV to engage targets while being stationary or on-the-move with a high accuracy, it also enhances the capabilities of the IFV against air-targets such as low-flying helicopters. The FCS now includes two separate optics for commander and gunner. The gunner's sight is fixed to the turret and stabilized in two planes. It offers different magnification levels, which result in a field of view ranging from 20° to 4° depending on zoom level. The sight also includes a thermal imager, but no performance data regarding its sensor resolution or technological generation have been revealed by KBP Tula. Given that most Russian vehicles upgrades make use of optics from the Belarussian manufacturers, which incorporate Catherine thermal imaging modules from the French company Thales, one should expect a rather high quality. KBP Tula's local competitor, Kurganmashzavod is offering BMP-2 and BMP-3 upgrades incorporating thermal imagers from SAGEM, another French company. The integrated laser rangefinder used in the Berezhok's gunner sight has a minimum range of 200 metres and a maximum range of 10,000 metres. The gunner's sight is also used to guide the laser beam-riding Kornet missiles. According to KPB Tula, the RMS error of the sight's stabilization is smaller than 0.1 milliradian. The optic has a boresight laying angle of -15° to +30° in the vertical plain and an angle from -10° to +10° in the horizontal plain. The commander is provided with an independent optic, that can traverse 360°. The sight has an elevation up to +60° and maximum depression of -15°. Like the gunner's sight, the new commander's optic includes different magnification levels, a thermal imager and a laser rangefinder with a range of up to 10,000 metres. The RMS stabilization error of the optic is also claimed to be just 0.1 milliradian. The new fire control system also includes digital displays for the operators, a new ballistic computer connected to several sensors - including a cross-wind and a roll sensor - and an automatic target tracker, which has an accuracy of 0.05 to 0.1 milliradians. According to KBP Tula, this is between three to six times the accuracy a human operator can achieve when trying to track a target with the BMP-2's or Berezhok's systems. The new stabilizers fitted to the main gun have a maximum error of 0.3 to 0.5 milliradians and allow a maximum weapon laying speed of 35 to 60 degree per second. Aside of the coaxial 7.62 mm machine gun (MG), a 30 mm automatic grenade launcher (AGL) with vertical stabilization has been added to turret. This weapon is fixed to the turret rear and therefore cannot be turned independently (unlike pintle-mounted weapons or remote weapon stations). The addition of the AGL is rather odd, given that the 2A42 main gun of the Berezhok combat module should provide similar anti-infantry and anti-structure performance, but it seems likely that the AGL was added for some enhanced indirect fire options against infantry. A total of 300 grenades for the grenade launchers and 2,000 rounds of 7.62 mm ammunition are carried inside the vehicle. The 2A42 autocannon is commonly loaded with 160 anti-armor rounds (most likely AP, APDS or APFSDS) and 40 rounds of high-explosive incendiary ammunition. On the left and the right side of the turret, dual-launchers for the Kornet anti-tank guided missile (ATGM) have been added. A total of eight missiles are carried inside the upgraded BMP-2 vehicle, four of which are ready to fire. The launcher is compatible with the 9М133-1, 9M133F-1, 9М133M-2 and 9М133FМ-3 Kornet missiles. The 9M133-1 is fitted with tandem shaped charge warhead to combat heavily armored vehicles such as main battle tanks (MBTs) even along the frontal arc. The armor penetration ranges from 1,000 to 1,200 mm into steel, its tandem charge warhead can defeat explosive reactive armor (ERA). The 9M133F-1 is a variant fitted with a thermobaric (fuel-air) HE warhead that is equivalent to a 10 kilogram TNT charge. Both these missiles have an effective range from 100 to 5,500 metres. The 9M133M-2 is an improved version of the Kornet ATGM, which is also known as Kornet-EM. It has a longer range - capable of reaching targets up to 8,000 metres - and features an improved tandem charge warhead with a penetration of up to 1,300 mm into armor steel. 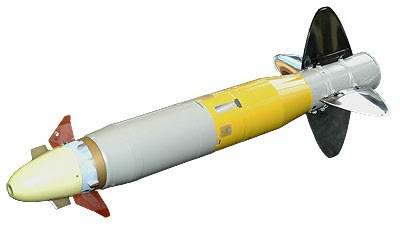 A thermobaric warhead option is also available. The 9M133FM-3 missile is fitted with a proximity fuze and a larger rocket engine. Its main purpose is to engage aerial targets such as helicopters up to a range of 10,000 metres. A shaped charge warhead option is not available, the missile is always fitted with a slightly smaller thermobaric warhead equal to a 7 kilograms TNT charge. The 9M133FM-3 missile is either fired in a single shot mode or as a salvo of two in an attempt to overcome active protection systems (APS). 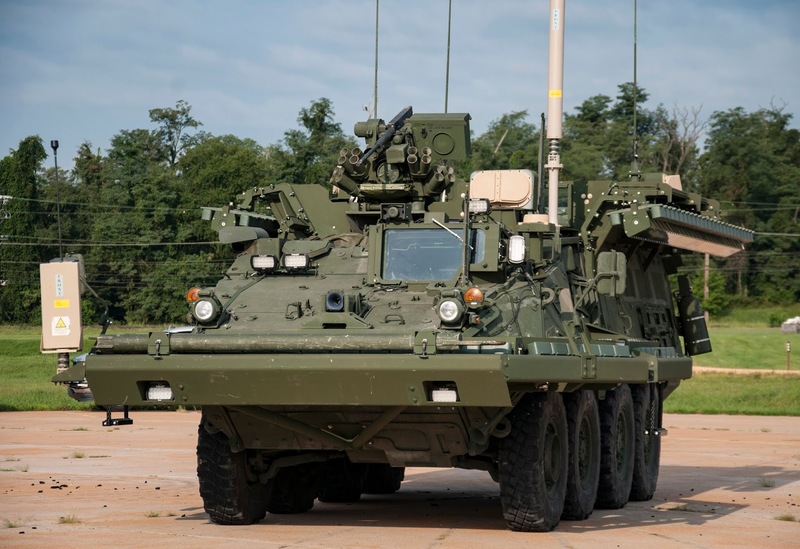 The BMD-2 will be fitted with the smaller Bereg combat module, which is required to due to the size and weight limitations of the air-mobile vehicle. The Bereg turret has a weight of less than 1.8 metric tons, while the Berezhok turret has a weight of up to 3.25 metric tons. The weight reduction is only possible, because the Bereg is a one-man-turret, the vehicle commander sits in the hull. Therefore the Bereg doesn't feature an independent optic for the commander, being unable to carry out missions in the hunter-killer mode - otherwise the fire control system seems to be identical, it also features a cross-wind sensor, a roll sensor, modern stabilizers and an automatic tracking unit. 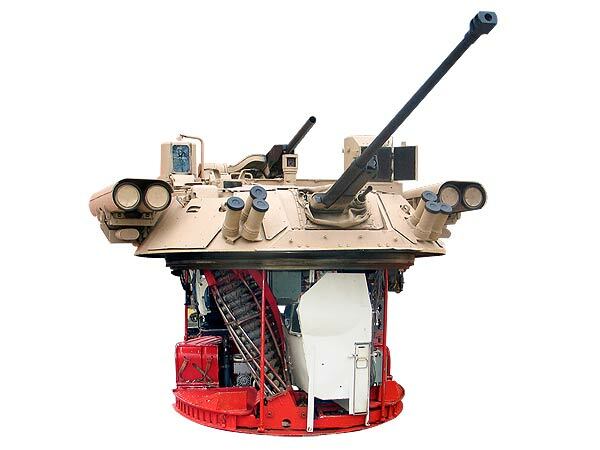 The turret is only fitted with a single dual-launcher for Kornet ATGMs and the total missile stowage is reduced from eight to two. The 30 mm 2A42 autocannon remains the main armament, but no 30 mm AGL is added to the turret rear; however the Bereg turret has 300 instead of 200 rounds of main gun ammunition ready to fire. The upgrades of the BMP-2 and BMD-2 enhance the capbilities of the obsolete baseline vehicles by a considerable amount. The original vehicles were rather useless against their more modern Western counterparts, which due to their thermal imagers and digital fire control systems had a big advantage over the BMP-2 and BMD-2. In various aspects these upgraded 1980s IFVs can even outperform much more modern vehicles - for example the commander's panoramic sight of the Berezhok turret is an advantage compared to vehicles such as the ASCOD Pizarro/Ulan, the Marder and all currently operational CV90 variants excluding the latest Norwegian models. Its long range, high penetration power and the ability to target helicopters (with the 9M133FM-3 missile) make Kornet a much better missile system than the older missiles used on some NATO IFVs such as MILAN and TOW. The inclusion of an automatic target tracker in the FCS is a further perk of the Berezhok and Bereg turrets. However just changing the turret doesn't remove all shortcomings of previously obsolete vehicles such as the BMP-2 and BMD-2. Unless Russia also contracted upgrades for armor protection - the basic BMP-2 isn't even protected against 12.7 mm and 14.5 mm heavy machine gun ammunition at the sides - and mobility, these vehicles will still suffer from various drawbacks.